Now Big Canoe is not officially a retirement community but they have everything say a Del Webb Community has and more. There are over 100 clubs in their activity center building as well a gym, pool, craft room, etc. Several restaurants are in the community. 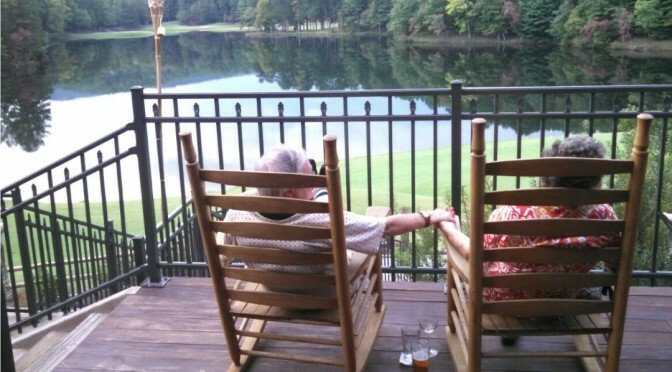 Some more reasons we like Big Canoe for a retirement home. 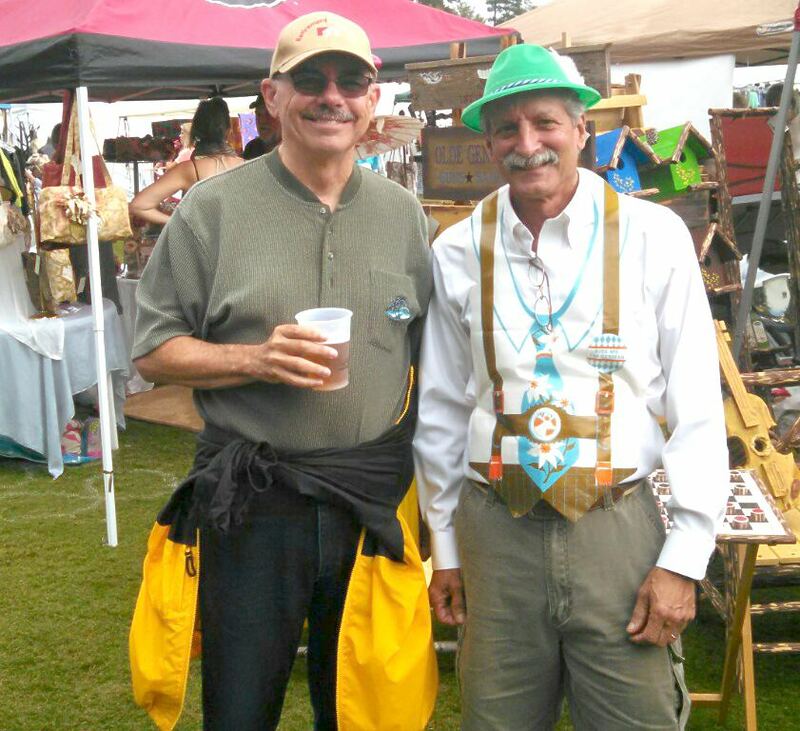 We happened to be there during their annual Oktoberfest which I really enjoyed. Happened to run in to Margie and Denis Casey the publishers of Real Estate Scorecard which just announced that Big Canoe won their 2014 Bliss Award for the Best Mountain Community of the year. Check out their scorecard report on Big Canoe. 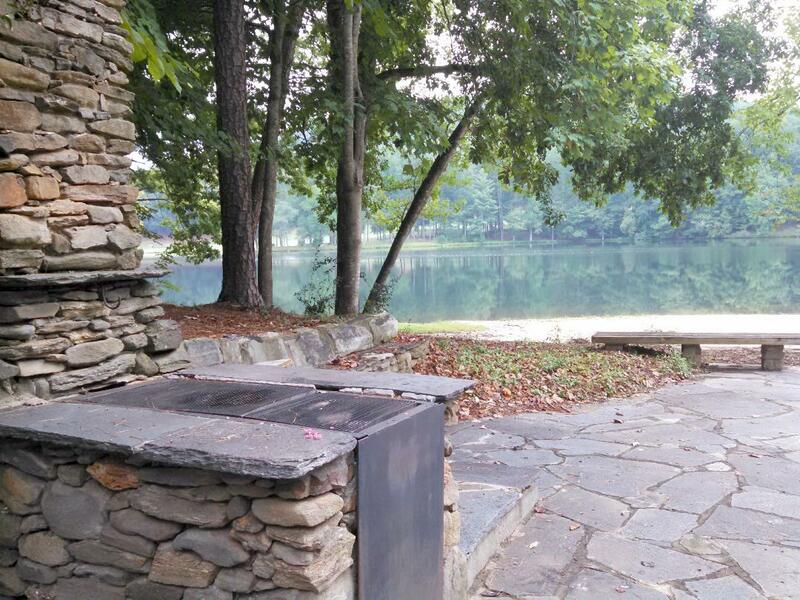 The residents come from all over the country and the world to live in Big Canoe. I don’t know if it’s one of a kind, but I have never seen anything like it. Is has great appeal for everyone. 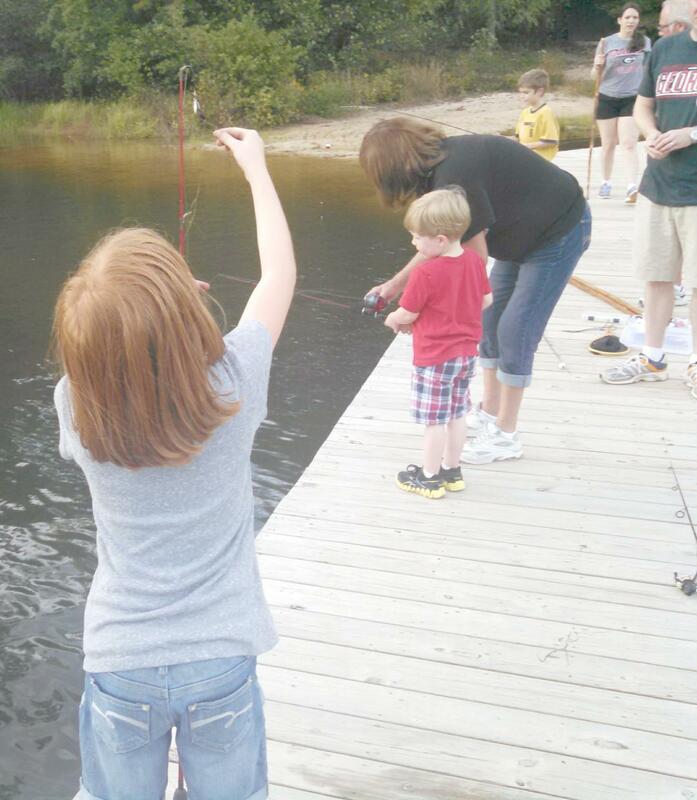 Kathy my sister in law took her grand kids to the lake to fish and they (we all did) loved it. During the Summer there are canoes and paddle boats and on the larger Lake Sconti there is a pontoon boat marina. Our friends David and Tina took us for a ride up the 1.7 jeep trail crossing several streams and climbing boulders to get to two waterfalls. 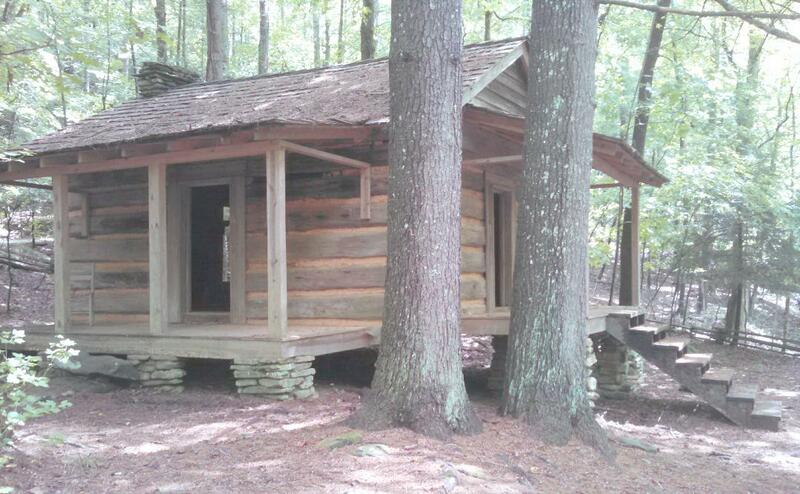 On the trail there was an historic moonshine still and a cabin. My wife Mary Ann and some family members went over to the Georgia Apple Festival in nearby Ellijay. The small town of Jasper is the closest but other small towns nearby too. Big Canoe is it’s own small town with it’s own zip code. 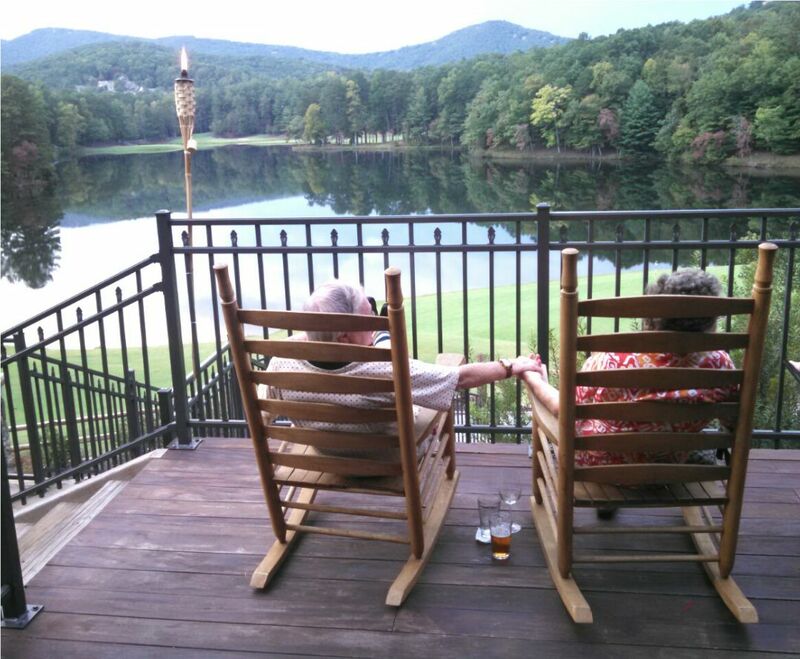 It you want something different than the large 55+ communities, then you may want to visit Big Canoe as it is an excellent place to live and retire. This picture I took after our dinner at the Black Bear Pub at the Big Canoe Clubhouse and walking out to the deck overlooking Lake Sconti. It is a couple holding hands looking out over the peaceful lake. Now if that’s not a great retirement photo, I don’t know what is. **Margie Casey’s Real Estate Scorecard has reviews and wonderful photos of many top planned communities, most in small towns.